GIRL'S CLUB - for girls aged 6 - 16yrs. Led by Sr. Hina Rizvi & other community volunteers. 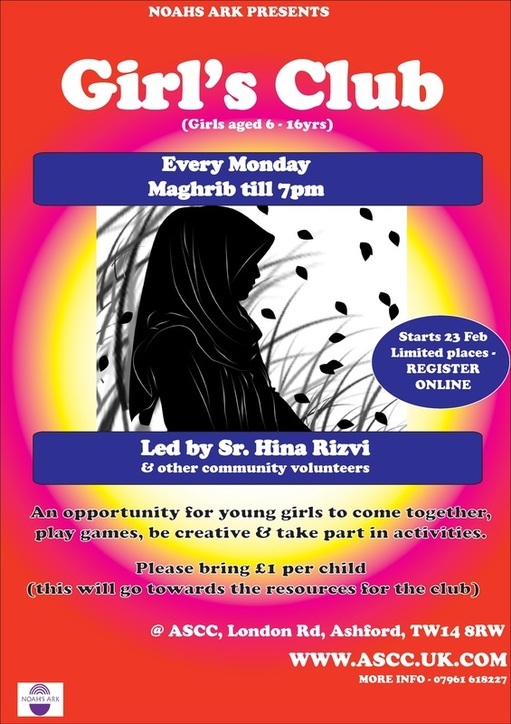 An opportunity for young girls to come together, play games, be creative & take part in various activities. Kindly donate £1 per child - will be used towards the club's resources. There is a maximum limit to the number of participants, so register now & don't miss out!! *Times will naturally adjust as Salaah times adjust in the future.